The ex-head of children's services at Haringey Council has said the way ministers handled the Baby P affair was "breathtakingly reckless". 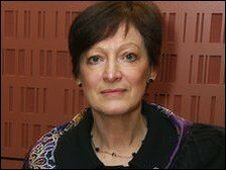 Sharon Shoesmith told BBC Radio 4's Weekend Woman's Hour and the Guardian she had since considered suicide and was the victim of a press "witch-hunt". Baby P suffered over 50 injuries by the time of his death in August 2007. Children's Secretary Ed Balls said he "acted responsibly" in response to failures in the council's leadership. Mr Balls had removed Ms Shoesmith from her post on 1 December 2008, in response to a critical Ofsted report into the authority's children's services department. Ms Shoesmith remained on a full salary while the council considered her case but was fired without pay shortly afterwards. In her first interviews since being dismissed in December, the 55-year-old said she was "shocked" at how fast the death of the 17-month-old boy had become a party political issue. "It just has been deeply reckless, breathtakingly reckless, and I don't think people really understood quite what the potential impact could be," she said. "And now you've got this, a local tragedy and a national catastrophe." Mr Balls denied being reckless, given that the UK was undergoing a social work recruitment crisis, and he said: "I didn't jump in, even though I was pressed to do so, I waited for an independent report," he said. "I sent in inspectors - the experts - to do the work. In a devastating report, they said there were real failures in management in Haringey. "In the end the director of children's services has to take responsibility," he said, adding that he would do the same again if it was in the interests of children's safety. The BBC's James Westhead said: "It's true that there's a recruitment crisis in social work. It's equally hard to say whether things would be any better if Sharon Shoesmith was still in charge." Ms Shoesmith told Radio 4's Weekend Woman's Hour that she "grapples" with carrying personal responsibility for his death every day. "Of course I've been distressed about this, of course I have, and had many sleepless nights over it," she said. "But if there's a young person killed through knife crime this weekend, and I hope there isn't, do we expect the borough commander of that London borough to resign? We don't, we don't." She said: "I was inundated to resign from people who didn't know me, didn't know anything about me. "I was equally inundated by so many people asking me not to go, to be strong, how could they help me, please hang on in there, we know it's difficult, we need you, don't go." She added that to resign would have been the weakest thing to do because her staff needed her so much at that time. The inspectors' report into her department criticised everything from insufficient supervision by senior management to poor record-keeping and a failure to identify children at immediate risk of harm. But Ms Shoesmith said Ofsted's inspectors gave her no opportunity to discuss their findings and that the good practices drawn to their attention were omitted from their report. "The first time I saw that report was when it was already published on a website accessible to the public," she said. "The first time I knew any inkling of the degree of criticism in it was watching the Secretary of State live on television." 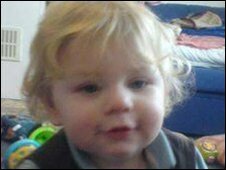 Baby P's mother admitted in court causing or allowing the boy's death and her boyfriend and lodger, Jason Owen, 36, were convicted of the same offence and await sentence. Ms Shoesmith has been criticised for comments she made shortly after the convictions including that she was satisfied her department had acted appropriately. Listen to the full interview on Weekend Woman's Hour, BBC Radio 4, 1600 GMT, Sat 7 February. At the time she also said: "The very sad fact is that we can't stop people who are determined to kill children." Reflecting on the events, she told the BBC: "Maybe one of the things we misjudged was the public opinion in this... interviewers are going to ask me 'can you guarantee there won't be any more deaths?' and that's a very difficult question. "In many ways I had to answer it honestly and the public didn't want to hear that honest answer." Ms Shoesmith also told the BBC that in her bleakest moments she contemplated taking her own life. "Without being dramatic, I think when people are in the eye of the storm, as I was, you do consider how you might end it all and, of course, I did that. "I don't think I would have done, I was still rational, but I certainly had those sorts of thoughts." Describing the political furore which followed the case, she said being named in the Commons in Prime Ministers' Questions was "very unusual". "They've tried to dig up all kinds of things about me, they've said all sorts of things," she said. "The story became me... one of the reasons was because I was the only image connected with the story, the reporting restrictions hadn't been lifted... the picture of the child hadn't been released." She also revealed that the first time she saw Baby P was when his photograph was published in a newspaper. Ms Shoesmith again defended her department over Baby P's death. "Across that period what is important to understand is that social workers or indeed health visitors were not going into a home and seeing a badly injured child... of course they weren't. "They were seeing a child where there was some concern, but it wasn't enough. It was enough to arouse their suspicions, but it wasn't enough to meet the threshold for care proceedings." What happened to Baby P?